The pieces and materials are all coming together for this room, now it’s just a matter of completing all of the projects. This is my son who was born last Thursday and was the reason that I decided to take on the One Room Challenge this fall. This pineapple quilt was made by my Mum and is part of the theme for the room. 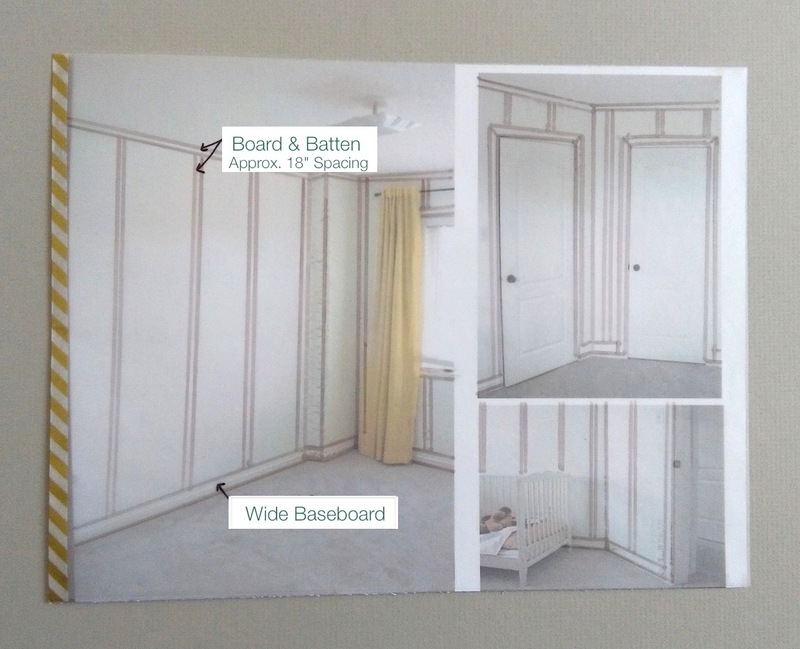 Since my last post, I’ve ripped off the basic mouldings in the room so that I can replace them with Metrie baseboards and casings. 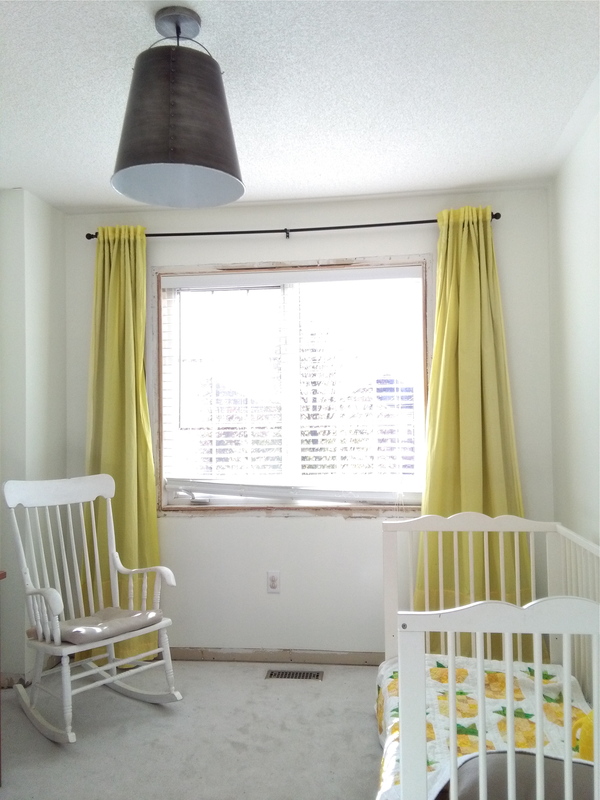 Since I’m going to be adding board and batten to the walls, I wanted to add weight to the baseboards and casings to make the whole room have more architectural interest. 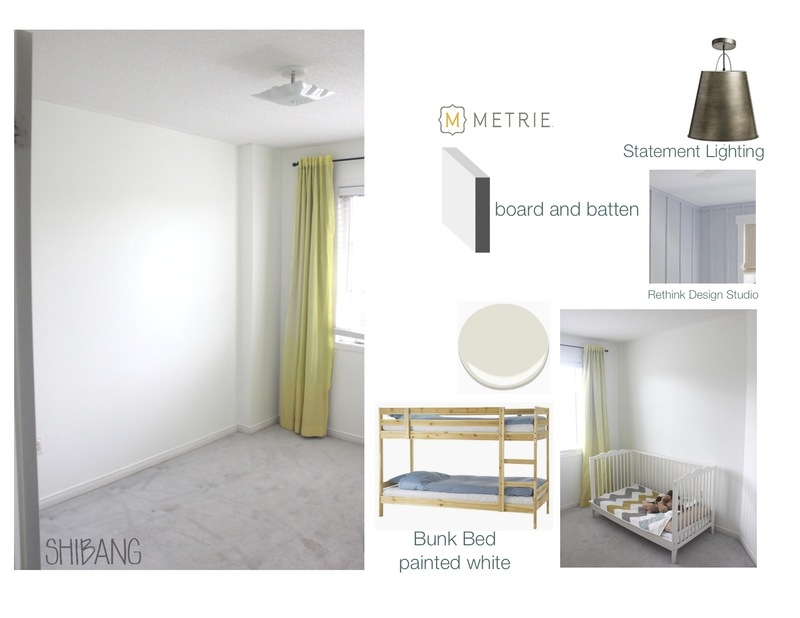 I am so excited to partner with Metrie again to complete this project. This time I’m using trim from their Pretty Simple Collection because the profiles were the perfect complement for the lattice I’m using as the battens. 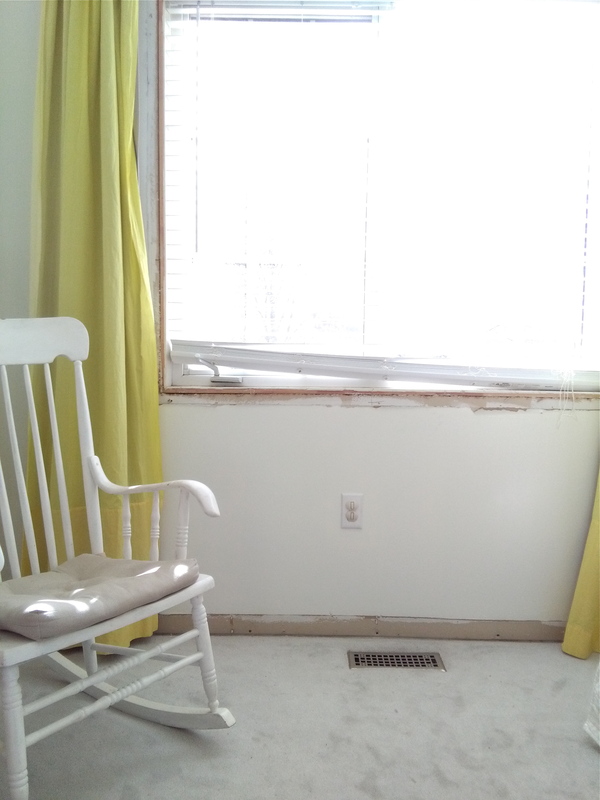 This is the current state of the room with all mouldings removed. Before installing the new ones I will paint them outside in the garage. Since I couldn’t wait to see how it would look I propped up the new baseboards to get an idea of how it will look. We have bunk beds now as well. After searching for months without any luck, I finally found this set of solid wood bunk beds on Kijiji. This was the only picture in the ad but it was enough to tell that they were what I was looking for – good quality, solid wood and could be separated into twin beds in the future if we ever wanted to. This is part of the bunk bed frame that I’m planning to paint white. After seeing the bunk bed ladder in the room I think I’ll leave it as is for practical reasons and also because the colour of wood works with the white walls and yellow curtains. 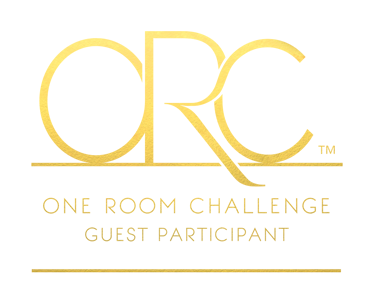 To see the progress of the other One Room Challenge participants click on the logo below. We’re one week away from the final reveal for everyone participating in the 6 week, One Room Challenge, hosted by House Beautiful and Calling it Home. Compared to so many of the major room transformations that others are working on, my project is small and could be completed over a weekend. Right now this is the status of my project — a garage full of wood cut and ready to be stained and put together over the weekend. I had to make a couple of trips to bring it home but having the planter pieces cut in store was a huge help. For the planter box I’m using cedar decking boards and the lattice will be made with 1″ x 2″ pine that I will cut at home with my hand saw. I decided to go with a solid stain and had it tinted black. The pieces will all be stained before I assemble them but this is the idea of how the box shape will be. The grey wood in the back isn’t for this project, it’s something else that I’ve been making for a pillow display going into a local decor and renovation showroom. Here’s a reminder of where the planter and lattice will be going. We’ve had lots of rain so the green is coming back, hopefully there will be some sunny days in the forecast to get staining in time for the final reveal next Thursday. Tthe progress of the other participants can be seen here. 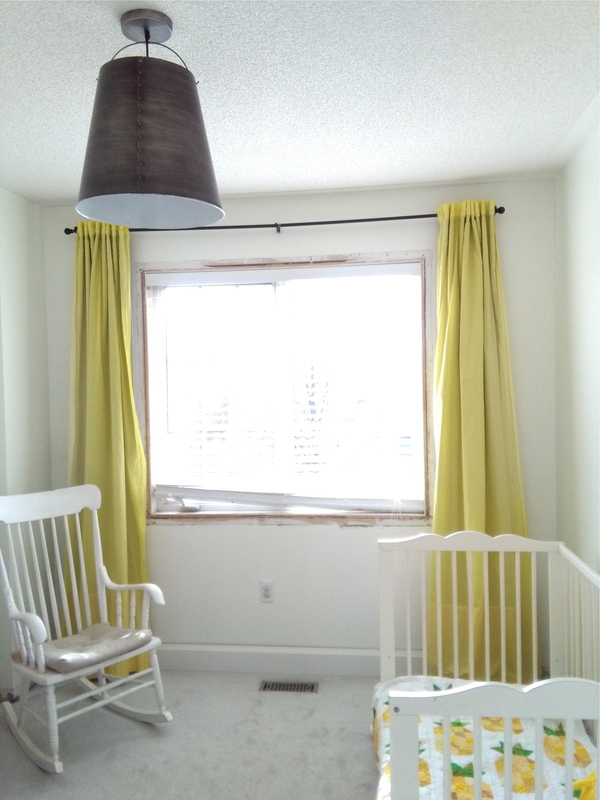 Last post for the One Room Challenge, I shared photos of what our yard looks like and how I plan to build a planter box and trellis to create some privacy. Since this project is all about building one structure, I’ve been working on the design and finalizing measurements before getting the wood. I printed off a photo of the backyard area that I’ll be making the planter for and drew my measurements on tracing paper. Seeing the trellis grid drawn out helped me visualize the final details and figure out measurements. A lot of the plans I have for our current yard are based on our previous home in Montreal that reminded us of a secret garden. The previous owners had built a pergola and trellises that filled in with grape vines during the summer. I liked the large squares which I plan to base my trellis on. The dark grey, semi-transparent stain held up over the winters. We’re still a long way from getting this much privacy in our current yard but the trellis will be a start. The weather here is still cool and rainy so hopefully next week I can start building. The progress of the other 200 plus participants can be seen here.